This diminutive office tool's versatility is the stuff of legend. Ah, the binder clip. A weapon of mass organization, it's the BFF of those who work with loads of paper, thanks to its power to keep your desk safe from stray sheets. However, this diminutive metal clamp's usefulness go beyond the confines of your workplace. Fact is, its ability to keep things together is so versatile, you'll be surprised at just how useful the humble binder clip is in many places! 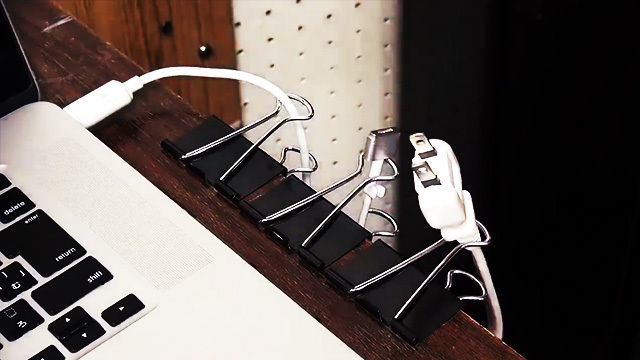 We point you to the video below featuring 15 nifty binder clip hacks that serves as a visual summation of what we've been proclaiming. The clip (pun shamelessly intended) was uploaded to the Facebook page Useful Info and Health Tips just a couple of days ago and has since achieved virality with over 3.2 million views, almost 135,000 shares, and around 1,500 comments as of this writing. Yes preach, Internet! Let everyone know the true power of this wonder organizer!